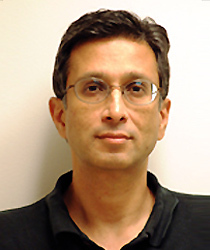 Dr. Narayan currently serves on the Board of Governors of the IEEE Information Theory Society. He has served as Associate Editor for Shannon Theory for the IEEE Transactions on Information Theory; Co-Organizer of the IEEE Workshop on Multi-User Information Theory and Systems, VA (1983); Technical Program Chair of the IEEE/IMS Workshop on Information Theory and Statistics, VA (1994); General Co-Chair of the IEEE International Symposium on Information Theory, Washington, D.C. (2001); and Technical Program Co-Chair of the IEEE Information Theory Workshop, Bangalore (2002). Multiuser information and coding theory Information theoretic security Communication theory Information theory and statistics Communication networks Current research projects include studies of: connections between common randomness generation by multiple terminals, network secret key generation, and combinatorial tree packing in multigraphs; secure function computation; reliable communication over hybrid radio frequency and free space optical communication systems; and sampling-quantization-distortion tradeoffs in thermal profile estimation for multicore processor chips. Articles were written on spatial sampling, sampling rate distortion and data privacy. ISR confers awards of excellence in its annual ceremony. Graduate student and staff member honored at annual ceremony. Narayan, Tyagi and Watanabe will take an information theoretic approach to multiple terminal data computation. Former visitor worked with Prakash Narayan on network information theory. Former student of Prakash Narayan is tenure-track assistant professor. The invited workshop addressed decentralized decision-making. The research will characterize fundamental performance limits of optimum sampling and lossy compression rates and their interplay.